There were no reports of African Armyworm (Spodoptera exempta, Walker) outbreaks from any of the IRLCO-CSA Member Countries. Outbreaks of Fall Armyworm (Spodoptera frugiperda J. E Smith) were reported attacking early planted maize in Kenya and Tanzania. Outbreaks of Fall Armyworm was reported in several counties of Kenya (Kericho, Nyeri, Embu, Nakuru and Meru counties). 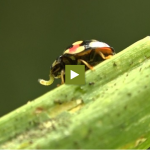 The pest was reported attacking early planted maize. Control by the affected farmers was in progress. Outbreak of Fall Armyworm was reported in most regions of the country. Control was carried out by the affected farmers with technical and material assistance from the Ministry of Agriculture. The main rain fed maize growing season is coming to an end and hence it Fall Armyworm outbreaks season is also expected to come to an end. 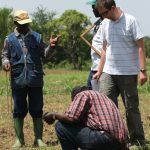 There were no reports of African Armyworm outbreaks from any of the IRLCO-CSA Member Countries. The African Armyworm outbreak season is coming to an end in Malawi, Mozambique, Zambia and Zimbabwe. There is therefore, very low likelihood of Armyworm outbreaks occurring in these countries. 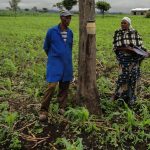 The African Armyworm outbreak season continues in Kenya and Tanzania. Trap operators in these countries are advised to service their traps, monitor and send moth catches to the village/national forecasting personnel. Outbreaks of Fall Armyworm is likely to continue in Kenya and Tanzania with the onset of the rains.